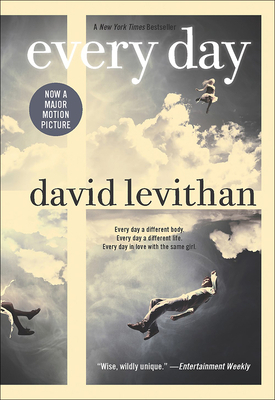 In his "New York Times" bestselling novel, David Levithan introduces readers to what "Entertainment Weekly" calls a "wise, wildly unique" love story about A, a teen who wakes up every morning in a different body, living a different life. With his new novel, David Levithan, bestselling co-author of "Will Grayson, Will Grayson," and "Nick and Norah's Infinite Playlist," has pushed himself to new creative heights. He has written a captivating story that will fascinate readers as they begin to comprehend the complexities of life and love in A's world, as A and Rhiannon seek to discover if you can truly love someone who is destined to change every day. DAVID LEVITHAN is a children's book editor in New York City, and the author of several books for young adults, including "Nick & Norah's Infinite Playlist "and "Dash & Lily's Book of Dares" (co-authored with Rachel Cohn); "Will Grayson, Will Grayson" (co-authored with John Green); and "Every You, Every Me" (with photographs from Jonathan Farmer). He lives in Hoboken, New Jersey.